I received this photograph and email from the mission. 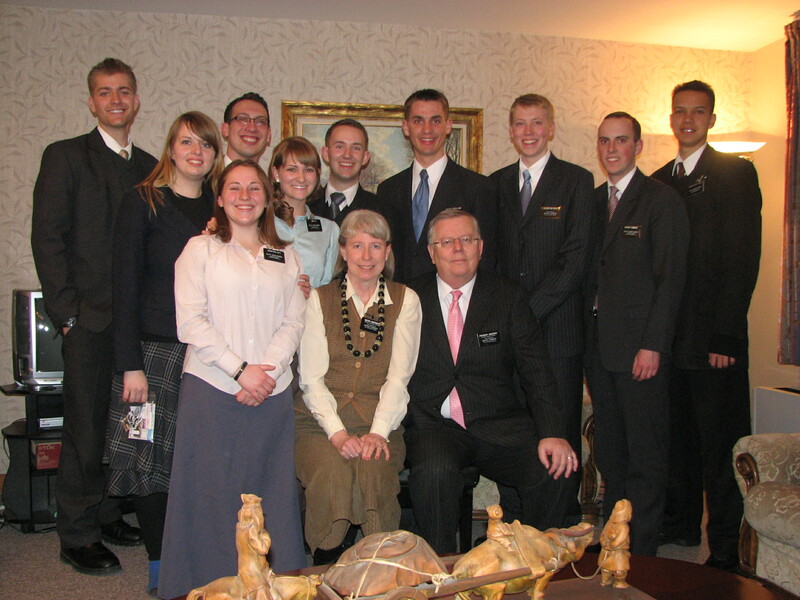 We thought you would like to see this photo of your missionary children who left our mission last week to go to other missions. 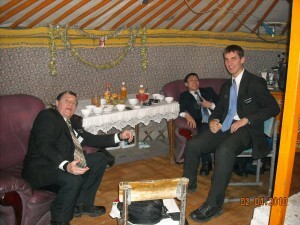 We had a dinner and testimony meeting with the missionaries on the night of their departure. 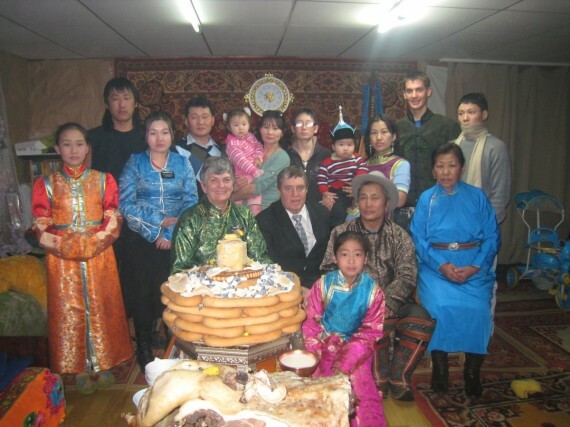 We celebrated the wonderful work they did in Mongolia. They put on a happy face. Thank you so much for the great parental support you have given to our mission through your missionaries. We hope that the visa problem can be resolved so that the elders can return to serve the remainder of their time here. Since Mongolia has a high incidence of tuberculosis, it is important that your missionary son or daughter has a TB test. It is up to the mission president in the missions where they are serving whether they have the skin test now or at the end of their mission. We just wanted you to be aware of this. 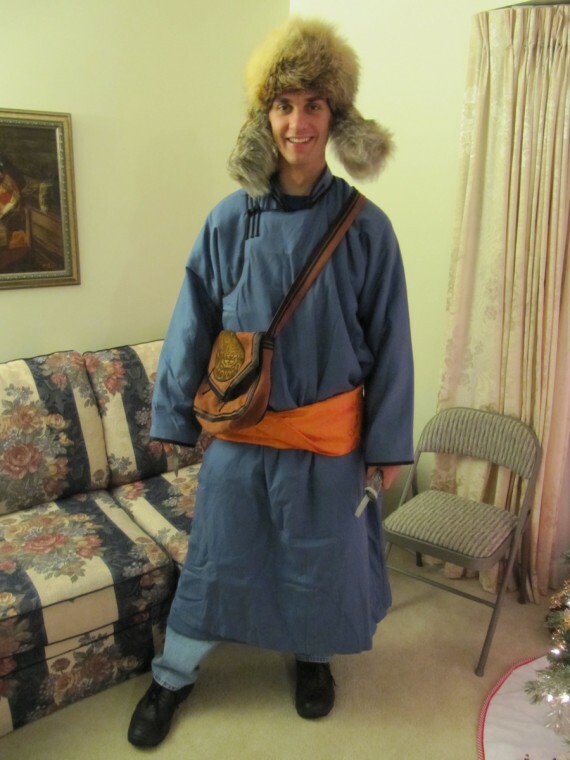 Daniel has to leave Mongolia. He traveled by car from Choibalsan to Ulaanbaatar to catch a plane to Korea. I am OK and alive. The trip took 13 hours. The city is really warm. Most of my group is here and it’s fun to see them. I think I have overspent on buying some things, but if I never come back it’ll be just about right. BatBold, one of the church leaders here, drove for us and he did great. We had some trouble with snow etc. so the trip took a while longer, but it’s all good now. The pictures: one is from my apartment window. I got a two-pant custom fit suit with way awesome inside material for about $55. It was exciting. 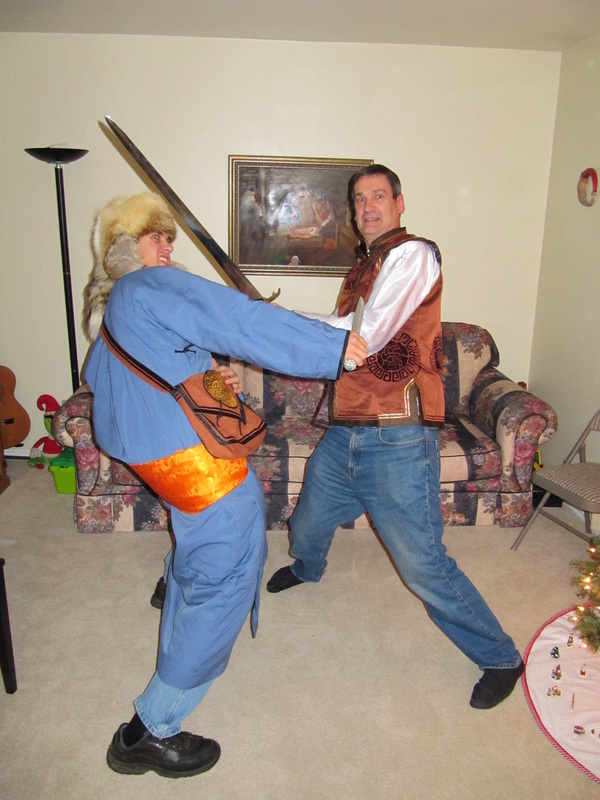 One picture has one of my Mongolian shirts. And then one is with three of the people being baptized this Saturday. Left to right: Baatarsvkh, me, Thogtbayar, Bayarcaikhan. It’s sad to leave them, but I’m learning to go where the Lord wants me to go. 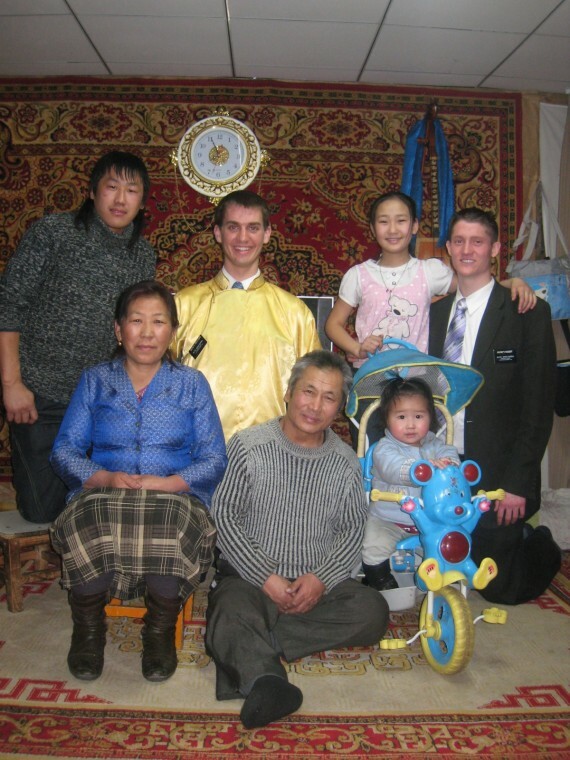 Elder Daniel Willoughby is serving in the Mongolia Ulaanbaatar Mission but will be temporarily assigned to Kennewick, Washington. If you want to communicate with Daniel, write in the comments or use one of these addresses. 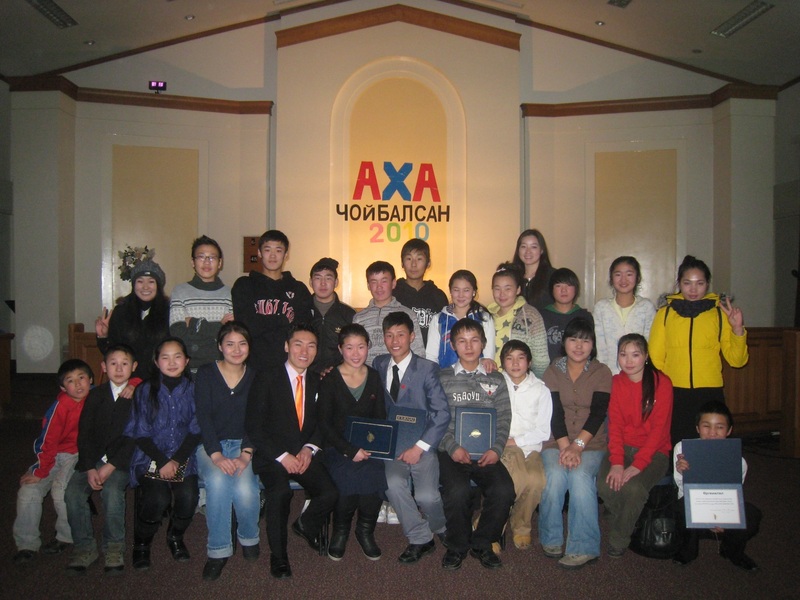 Daniel (second right in rear) with members in Mongolia. At the time they did not know he was leaving. I was in complete shock hearing the news last night. Since we hit our year mark in the country 3 days ago I thought I had a solid 9 months left to work hard. It has been quite the challenge to have to accept I’m very likely leaving in a week with a possibility of finishing my mission somewhere else. As a foreign missionary, Daniel has two documents which allow him to be in Mongolia: one is his visa and the other is his residential permit. Both are stamped in his passport. 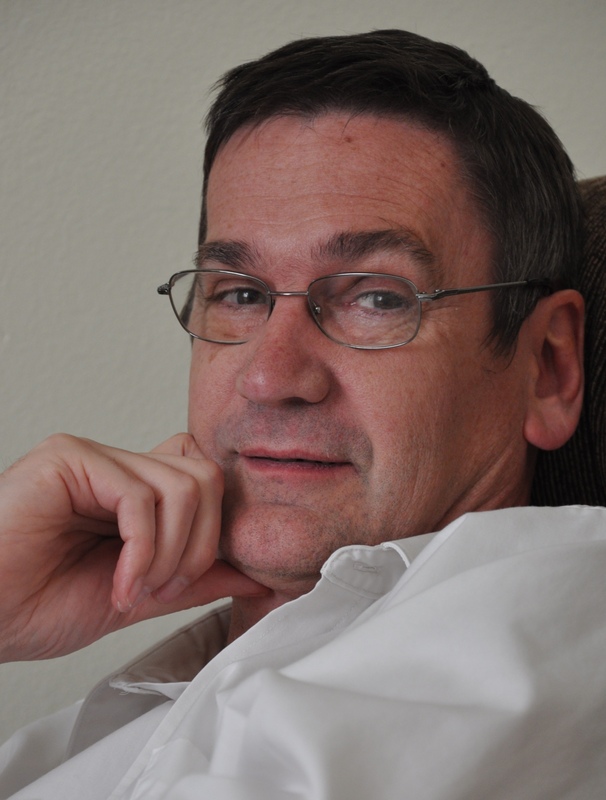 His visa extends beyond his scheduled departure from the mission. 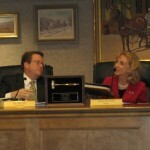 However, his residential permit is only good until February 23, 2010. This residential permit needs to be renewed at least once during his mission as they are only good for one year. 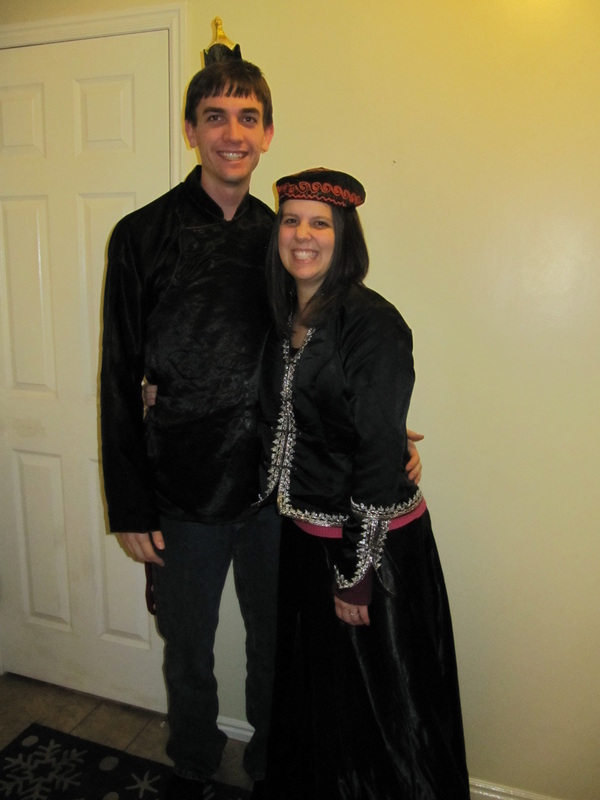 The mission has been having difficulty in obtaining visas for new missionaries coming to Mongolia. This process has resulted in the majority of the missionaries being delayed during the past 15 months and no new foreign missionaries coming to Mongolia since the beginning of July 2009. The occurrence of these visa difficulties are a result of relatively recent laws in Mongolia regarding foreign workers. The number of visas available to an organization is now governed by a quota system related to the type of organization and number of local employees. Being volunteers does not allow us to circumvent these rules which are quite reasonable given the size of the population and the strong feeling towards preserving Mongolian culture. Even with these laws, Immigration continued to give visas to the foreign missionaries until last year. 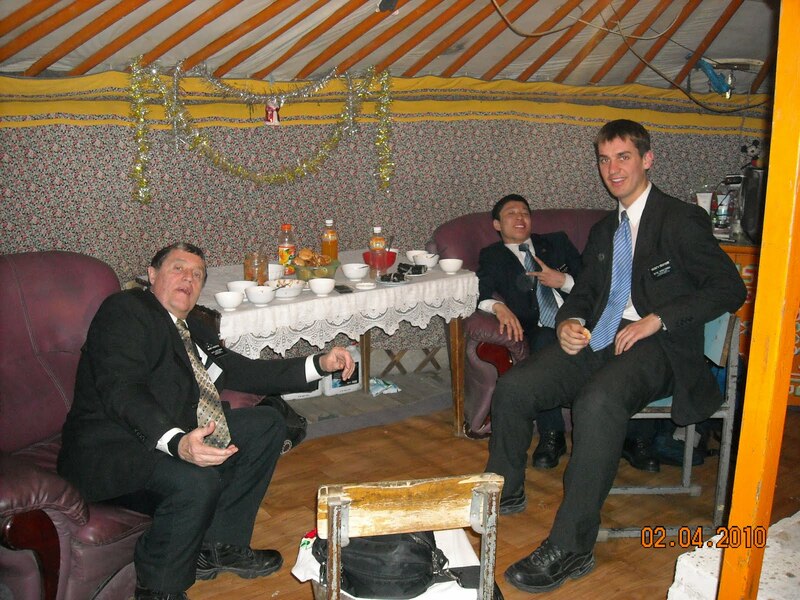 All of the foreign missionaries currently serving in Mongolia came in as exceptions to the new rules. Residential permits for the missionaries will no longer be renewed until they are in compliance with the quota. This permit renewal has previously been a routine matter. I am leaving Choybalsan on Monday. The Andersons are leaving with me by a church car. So we’ll leave Monday morning and get to Ulaanbataar at night. Then have interviews with president on Tuesday or so and I think we are leaving to Korea on Wednesday at midnight. Then from Korea I’ll go to California LA then to Washington. Then there is a group of seven Americans that have finished their two years and will leave the week after me. 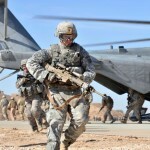 Then about three months or so later another American group will leave. 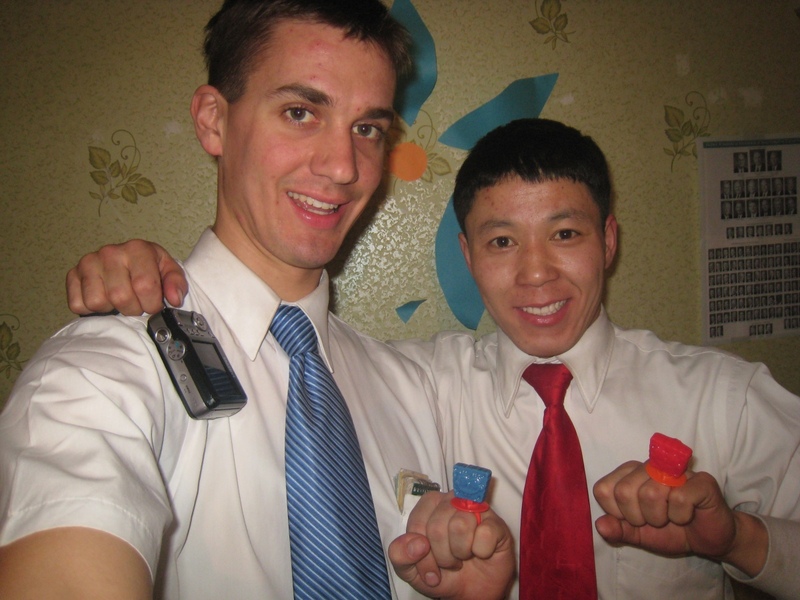 From about May on there will be only two American missionaries here then in July it’ll all be Mongolian. Daniel explained that they are just keeping to the law so when they figure it all out they should be coming back. He said that it looks like he can come back but there are no promises. 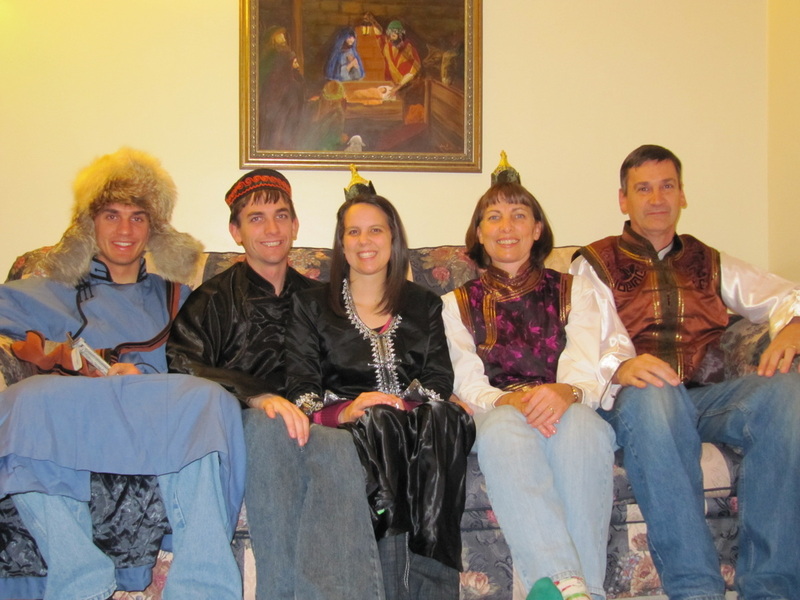 As Daniel’s parents we are grateful for the time that Daniel has been allowed to spend in Mongolia. Thagaan Sar was lots of fun. We spent almost every day visiting members and eating buuz. It was an adventurous week. Elder Naisbitt and I didn’t quite make our goal of eating 200 buuz, but we did eat 155. Not bad at all. I was so full all the time. It made every day this week feel like one day. I really enjoyed the holiday. The best thing that happened this week though was Sunday. Church attendance soared. It was around 159. Along with that we had seven investigators from our work came. Three of them were faithful through Thagaan Sar so they will be baptized very soon. It truly made me happy and thankful. I hope that I will be able to see their baptisms. Transfer calls came as well so my new companion is on the way. I’ll see what I can do to get some pictures sent on their way. We hit our year mark in the country three days ago. The photos looked great Dad. In front of the temple there isn’t a road any more so that picture was way interesting to see. The color green looks a bit brighter too back in that day. Happy birthday! The picture of you makes you look good. It’s good to see my good “old” friend, Dad. I got the thermometer from the package. It has been a steady 0 degrees F. This whole week. The lowest for the week was around -10 F. It is really starting to warm up now though. Yesterday it was close to 20 F. which is about to where we feel like we don’t need to wear coats anymore. The pictures are of a few members that we went to. Daniel: Do you want anything from Mongolia? Dad: One of the vests. Like the one with white sleeves and the light brown body. The one your buddy was wearing that you had your picture took with. I am a large (not a Mongolian large — American large). But don’t go to any trouble. Daniel: Ha ha. Alright will do, got to go now. Bye. 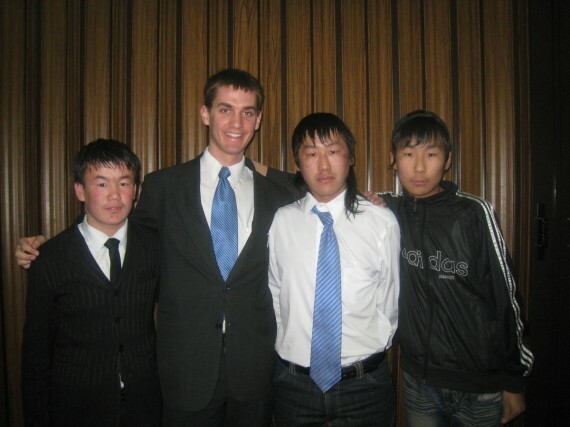 Presented have been portions of an email from Elder Daniel Willoughby serving in the Mongolia Ulaanbaatar Mission. If you want to communicate with Daniel, write in the comments or use one of these addresses. The holiday is great. We’ve been visiting members etc. It has been lots of fun. So far my stomach has handled the increase of meat intake. Some of the buuz tasted really great. I’m tied with Elder Naisbitt with 30. We have the rest of the week to go. So this week’s work was really slow. Everyone was busy. We spent our time doing service helping others prepare for the holiday. I got better at making buuz. I still need to learn how to make them better though. We had some taco seasoned buuz at the couple’s house. Those were the absolute best buuz I’ve ever had. We also had interviews over the phone with President Andersen. That was great. I also like talking with him. I think I’ll be staying here through the next transfer. Congrats to Jake. That GRE test score looks amazing. Keep up the great work. The birthday party looked like it was lots of fun as well. Happy birthday Aurora! Good job on the weight loss too. I’ve gained about 10 kg so I’m sitting around 83 kg right now. Which is about 180 pounds or so. It is crazy because I have no idea where the 10 kg came from. When you look at me you can’t see where it went either. Oh well, must be the cow stomach eh? This week we’ll just enjoy the holiday meeting with people. I was surprised to find the internet open. My release date is November 17 because Mom wanted to know. You can ask Sister Andersen if you want to. Alright we’d better get going. Thanks for all the great emails. They always are really fun to read. My companion would like some boxing gloves. It is impossible to find them here and the ones that are here are no good. His hand from his palm to his fingers is 20 cm. I told him that we could get him some. He’d like ones that are very hard. It’d be good to search up on the Internet for the best kind. He’ll use them for practice on the punching bag and for competitions. Preferably ones like they use in the Olympics, red or blue color is fine with him. I think a reasonable price range would be $30 to $70, but make sure they are good. 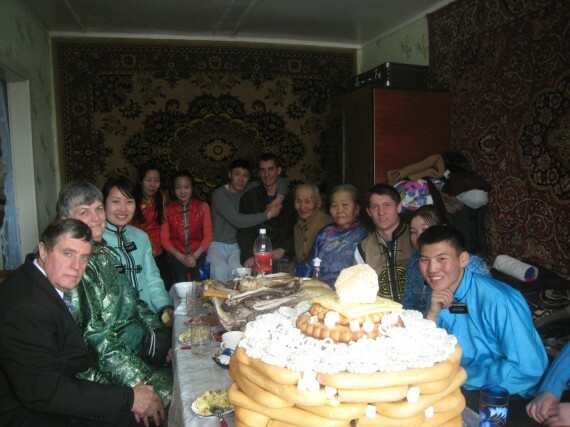 He was friends with the Mongolian Boxing Olympian who got Mongolia’s first Gold medal. He trained well with him and will continue after his mission. I will pay for it gladly; just take it out of my account. Thanks. P.S. Sorry once again for forgetting my memory card reader. I’ll be sure to send some of the best pictures next week. This article was written by Sister Andersen and was published in the January 2010 edition of Mongolia Mission Moments. 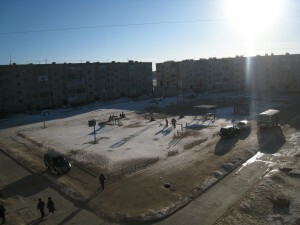 In Mongolia this winter we are experiencing a natural disaster called a zud or dzud. There is no English equivalent for this Mongolian word. Zud results from one or a combination of phenomena: a very cold winter, a summer drought, an impenetrable ice cover and/or heavy snowfall occurring on the winter pasture lands. A zud causes livestock to die from starvation and cold. Some parts of Mongolia experienced heavy rain and flooding this past year, however the areas most vulnerable to zud experienced a summer drought. The tall grasses which the herders would have cut to feed the animals through the winter were not available. Additionally the animals were not able to build up their strength by eating well through the summer months. In an ideal Mongolian winter summer fattened animals will push aside a thin layer of snow with their front hooves to forage on the dried grass below. At the end of January much of the countryside was covered by heavier than usual snow. 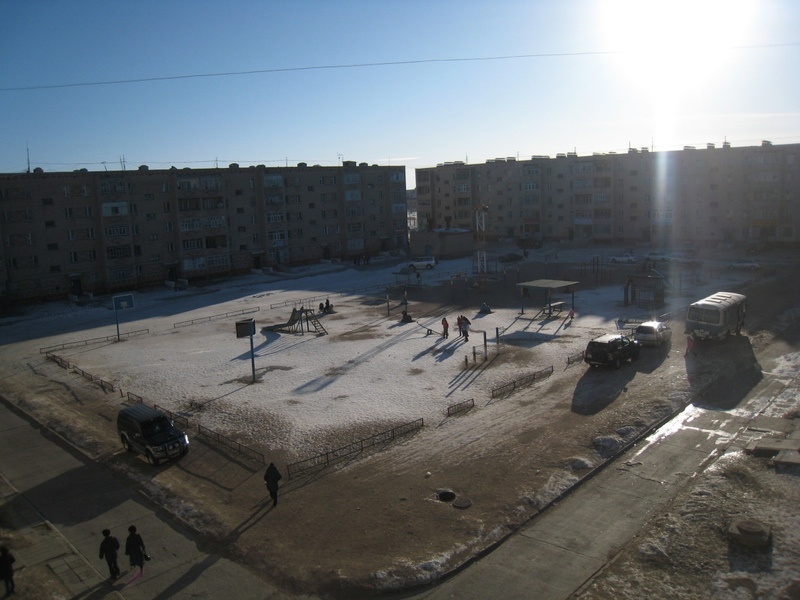 Temperatures have been unseasonably cold, dropping to -40 C and below. Mongolia has 3 million people and 42 million livestock. A third of the people in Mongolia live a nomadic herder lifestyle. Herders are dependent upon their animals for food, transportation and heating. It can take 5-10 years for a family to recover from a bad zud year. As a result many will migrate from the countryside into towns and cities where unemployment is already a big problem. Newspapers have reported that 1.9 million head of livestock have frozen and starved to death already due to the freezing weather and heavy snowfall. The United Nations Food and Agriculture Organization reports that 21,000 families have lost over half their herds of 100-300 animals. Many of these stricken herders have been cut off from necessary supplies due to poor road conditions. 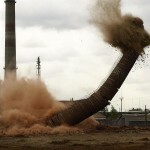 Zud has been described as being like a slow moving train wreck, with the most devastation occurring in April. 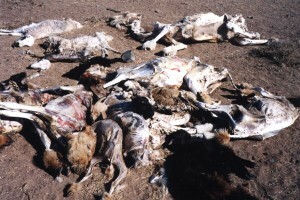 It is estimated that livestock losses could reach 4 million by Spring. The Church is helping in several ways. We are contributing money through the Ministry of Education to help repair broken heating systems at school/dormitory complexes which house the children while their parents travel with their herds to remote areas for the winter. We are contributing money to the State Emergency Commission for the purchase and delivery of food, clothing, medicine, candles, fuel and hygiene items for herder families. We are also contributing to a government sponsored program to purchase meat that was slaughtered and frozen by herders last fall in anticipation of a harsh winter for distribution to families who are suffering from lack of food. Choibalsan: 6 missionaries and 4 contacts. Daniel third from left. Brother Anderson standing. This week was somewhat slow, but at the same time was a good week. We spent some time doing some service for members. We made buuz and helped some others get some firewood. It was fun to make buuz and at the same time be doing service. This week we’ll probably spend a lot of time doing service as the holiday starts Sunday and goes for 3 days. The people prepare by making a lot of buuz. By a lot I mean some of them make 5,000 or so. Most people though I think make around 1,000 to 2,000. That is so much! Then during the holiday everyone one says, “Eat buuz, eat eat eat.” Missionaries here like to see how many they can eat during the week and set their goals etc. Last year I didn’t count, but it I ate close to 60 or so. This year I want to get to 200 or maybe 150. They also make salads, have fruit, and candy. It is quite the celebration. 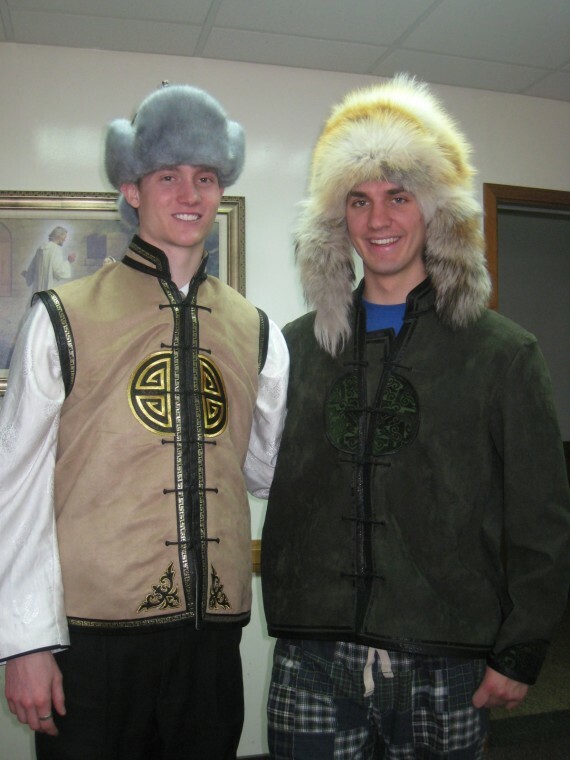 Missionaries are allowed to wear tradition clothing. I bought a nice green shirt that I think I’ll wear, unless I find something cool today I want to buy. They told me to tell you that I may not be able to write next week because the internet café may be closed. Everyone’s family comes and visits during the holiday. Like I said it is like their Christmas. They really enjoy each others company, sing songs, drink lots of alcohol, tea, etc… Not the church members of course though. Because of that and the family coming to visit, we mainly meet with members and support them and encourage them to keep the Word of Wisdom throughout the holiday. Most of them do really good and it isn’t much of a problem. Daniel (right) in a ger with companion and Brother Anderson. Speaking about Word of Wisdom, we were teaching it yesterday. We were saying the things we weren’t supposed to use. Tea, coffee, alcohol, tobacco, and illegal drug. My companion asked them if they knew what marijuana is. They said they had no idea. My companion explained further, something like its way illegal in America, but grows in Mongolia freely and most don’t even know what it is. They sat there for a while then their 6 year old kid spoke up and said, “Oh yeah I know.” It was really funny, just the way he said it. Anyway it’s a good thing they have never heard about the drug. Church attendance went down. Next week will probably be a huge decline. Then after that it should skyrocket. We met a really nice investigator last night. He came back from the countryside and we were able to review the first lesson with him. He treated us really nicely and that made me happy. It was a good experience to be able to teach him. Did you hear anymore from the dad that was angry about you calling his daughter? No. It is around -20 to -30 degrees C. Cold, but my coat keeps me nice and warm. I wear that ninja mask I got before I left, It works really well. Mom and Dad write me consistently every week. Thanks for the support. I get plenty of emails from everyone. Sounds like Paul and Jake are doing good work with school and work. 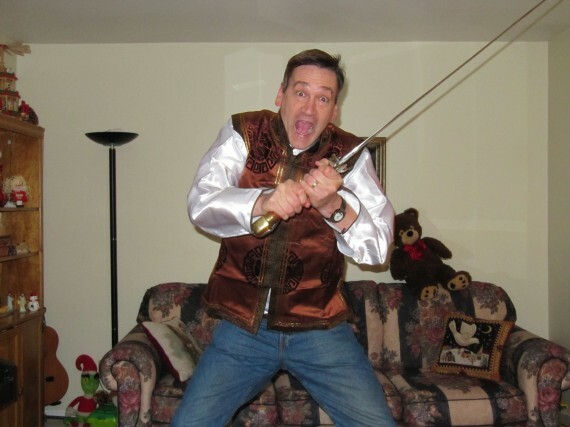 Keep it up; earn some money so you can pay for my return visit to Mongolia in a few years. Ha ha just kidding. If the economy gets too bad in America we could always just move here. My companion and I live off $65 dollars a week and we can basically go out to eat at restaurants everyday. It easily covers all the expenses. I think our apartment is around $280 a month, then the electric and water is like $35 a month or so. So total that’s about $400 right? Anyway that’s just fun information. Along with that our apartment had a little problem this week. Some sewage came up the kitchen sink. It was really nasty. What is great though is our landlord came and personally cleaned up the floor for us and got the repairmen and everything. That shocked both my companion and I. It was really nice of her. Sorry for no pictures today. Maybe later if I get a chance I’ll send a few. I forgot my card reader. I love you all. Photographs from …Couple Things… blog: Sights of Choibalsan and A Real Ger and A Sweet Family! 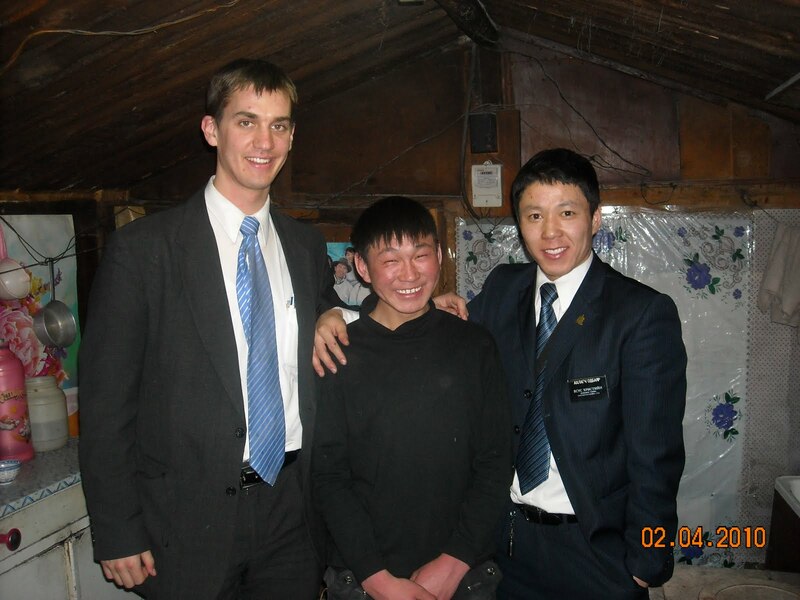 Presented have been portions of an email from Elder Daniel Willoughby serving in the Mongolia Ulaanbaatar Mission. If anyone wishes to send Daniel a message, write it in the comments and I will make sure he receives it. Thanks for the great emails, not much to write about this week. Enjoy the little movie clip of my investigator’s son. He is saying, “Hey Kobe, what’s up? !” I think it’s great, but it was my companion’s idea. Transfer calls came and I’m staying here with my companion Elder Od Bayar. That made me happy. I like this, being in Choibalsan. We had a normal work week with the normal meeting with people and teaching lessons. Right now we have some good investigators progressing towards baptism. My English class was fun teaching again. I teach another English class at the church. Nothing too exciting. My companion does whatever he feels like during English. So it is really surprising that January is already over. Time in the countryside goes by much faster and is a whole lot calmer and peaceful. 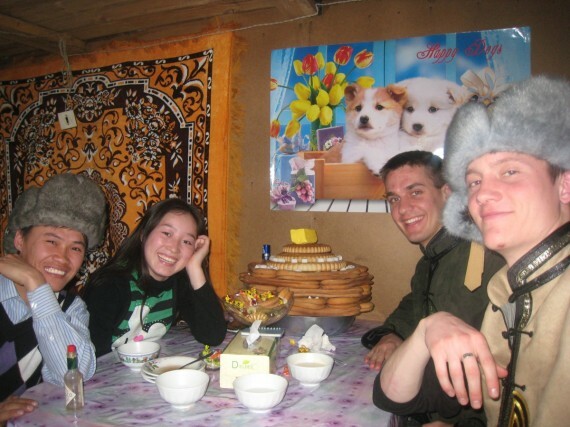 In February everyone starts preparing for Tsagaan Sar and gets really busy. During the holiday we just do our best to support the members as most other people are celebrating with family etc. It is kind of like their Christmas. This year I think lots of members will invite us over to their houses. So I’d better start preparing to eat a lot. Each house always has tons of Buuz and they make you each until you’re full like Thanksgiving dinner. Then the same day you go to another house and eat the same amount all over again. We’ll probably go to three or four houses a day for the week. I’m not really sure, but it’ll be fun. My companion says that it is true that this is the coldest winter in Mongolia. Doesn’t really seem that cold, but when there is wind it is freezing. The picture below with all the youth is from a question and answer competition they had. They asked questions about church doctrine and things. The winners were recently baptized members (within the last month), and another who had been a member a little over a year. Thats cool.